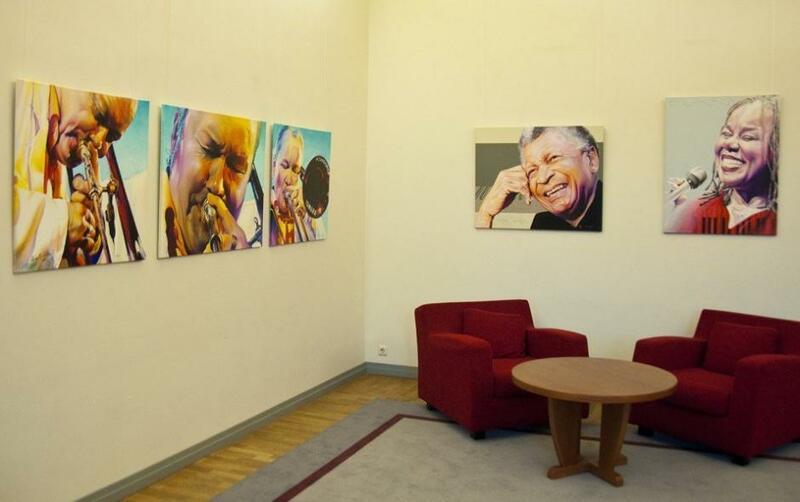 The Estonian Embassy in Berlin is housing an exhibition of paintings by the Berlin-based Estonian jazz photographer and painter Arvo Wichmann. Born in 1976 in Tallinn, Wichmann’s artistic talent was discovered in his childhood and he went to an art school for children in Tallinn. However, life took a different path for him and he didn’t continue with his art studies to adulthood, although he kept cultivating his talents in art and photography. Wichmann moved to Berlin in 1989 and worked for years as a professional carpenter. In 2002, due to an illness, he was forced to forsake this profession and devoted himself once again to painting and photographing. By now, he has succeeded at his chosen field and mostly works in Berlin and Zurich at big jazz festivals as an accredited photographer. He has taken pictures of well-known contemporary jazz performers – Al Jarreau, Roy Hargrove, Ingrid Lukas etc. 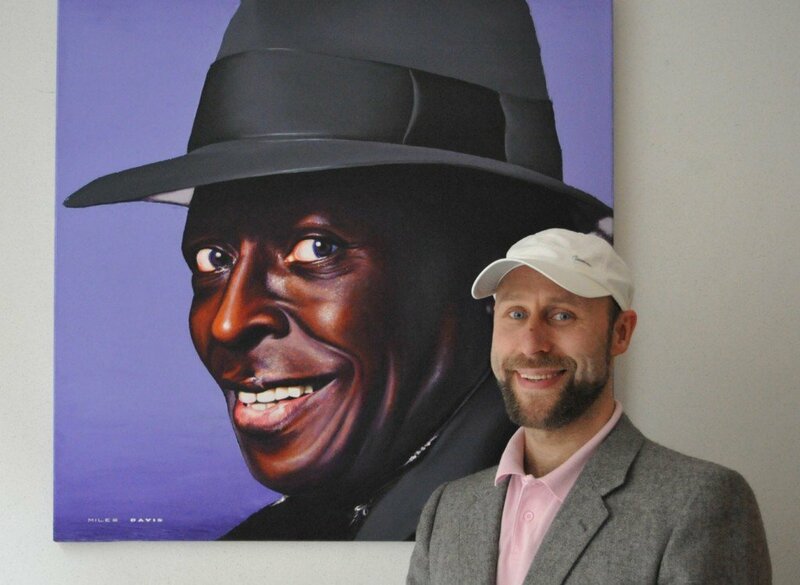 In recent years, Wichmann has been drawn to hyperrealist painting and for the current exhibition, he has created an array of portrait paintings of various jazz musicians. Wichmann has proven himself as an excellent photo portraitist who depicts the instant emotion of the performer. On his hyperrealistic paintings, the artist uses reflections and glancing surfaces. Jazz icons, like Miles Davis, Ella Fitzgerald and Nils Landgren, are pictured. According to Wichmann, a painting can indicate what a photo cannot. Although showing such qualities of photo medium like concentrated form and momentary, his portraits are not merely accurate images of reality. As a jazz festival photographer, Wichmann wants to capture the spiritual highlight of the musician or the singer. Live performance energy is translated into picture language. Therefore, his portraits are bright-coloured and extremely lively. But they also show the fascinating concentration of musicians, who usually let the music speak for themselves. These exhibited pictures could actually be decorating the walls of some smoky and dark underground jazz-bar. Saxophone melodies and bass chords would make the images virtually alive. Luckily the opening of Arvo Wichmanns exhibition, “Jazz in Berlin”, at the Estonian Embassy was accompanied by the delicate and joyful performance of Ingrid Lukas – an Estonian jazz singer who also features on one of the portraits. With another vernissage from Wichmann in “JazzCafe Berlin”, this exhibition is a part of the Berlin Jazz Festival official programme. 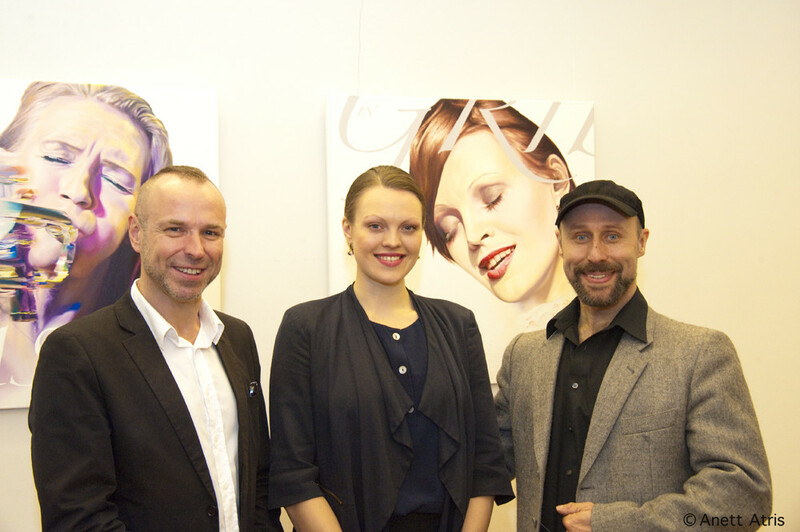 Arvo Wichmann’s exhibition “Jazz in Berlin” will be open until 15 January 2014, at the Estonian Embassy in Berlin.